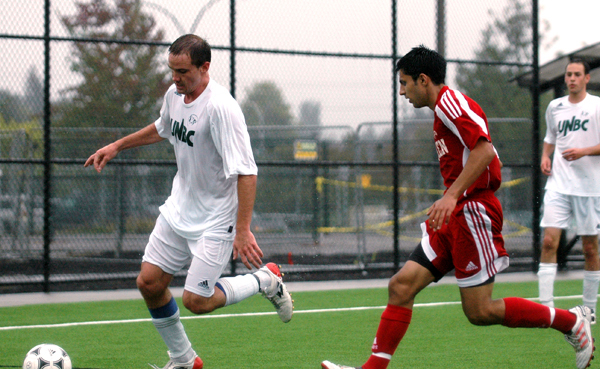 The brand new turf field at Newton Athletic Park was used for the first time when both Kwantlen soccer teams played against UNBC on Sept. 12. But even though the pitch has been deemed ready for play, there is still construction going on around the field. The stands, which will hold 500 people, have yet to be installed, along with a change room for officials, who are currently using an empty shipping container. The original plans were for construction to be complete by the end of the summer, but it seems that the field needs a few more weeks for a final touch-up. Rookie centre midfielder Vickey Parhar is all smiles about the Eagles new home. “I think it’s great. It really shows that Kwantlen is really putting money into their athletics and showing their support in the teams,” said Parhar. According to Parhar, the money was well spent by the university, and the delay doesn’t bother him too much. 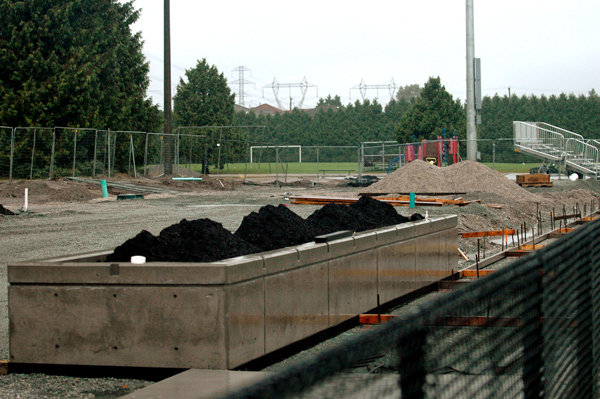 Newton Athletic Park will be the venue for the 2010 BCAAA Provincial Championships from Oct. 29-31, and all will be hoping that the project will be complete. 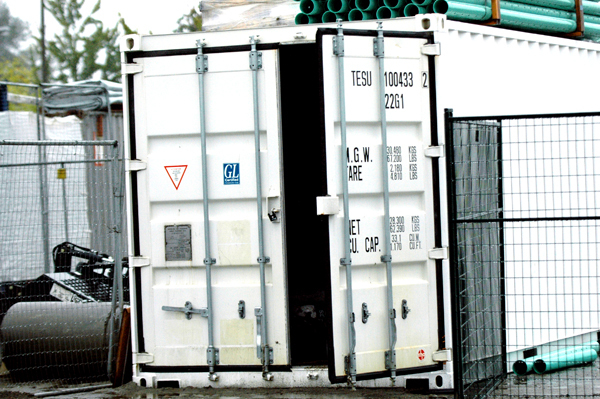 Kwantlen invested a little over $1 million in the field, which was priced at $2.85 million. When it comes to differentiating us from Americans, there are several things that come to mind, for Canadians are polite, kind and modest. But if we take away anything from the last two weeks, it is that we are more like Americans then we could ever imagine. Taking the Expo Line downtown, I could see the numerous flags hanging out of apartment windows and on houses, none of which where there before the Winter Games began. Patriotism is a noble characteristic to have, but there is a limit. There has to be some worry when a Texas columnist is comparing our Games to the 1936 Olympics in Berlin. The rest of the world views the United States as a joke because of all its patriotism and inability to be open-minded. I fear that their patriotism is climbing up the 49th parallel. Walking down Robson Street over the past two weeks has been very inspiring to all Canadians. It is comfortable to go up to a person and give them a high five because a Canadian athlete just won a gold medal. But after watching a Seattle Seahawks game at Qwest Field, Seahawk fans would walk up to me and give me high-fives too. Also, the U.S. government provides a lot of taxpayer dollars to American athletics. Canada’s Own The Podium program is similar to what the Americans have done with their athletes. Yes, it’s inspiring to hear that Canada finally wants to achieve more than participation at these Olympic games and that our medal count is comparable to that of the States. But all of this being done at once, for the Games in our nation so we can claim our first gold on home turf, is very American. There is very little to separate us now, and now rivalry with the U.S. seems unavoidable. And, the Games are supposed to put Canada in debt so that’s another thing we share with our brothers to the south: Spending money we don’t have.